Missouri Secretary of State Jay Ashcroft visited Stone County in late October in advance of the November 6 General Election. Ashcroft is pictured above at right with Cindy Elmore, Stone County Clerk. Missouri Secretary of State Jay Ashcroft met recently with leaders of Brewer Science, a global technology leader in developing and manufacturing innovative materials and processes for the fabrication of semiconductors and microelectronic devices. The company’s headquarters is located in Rolla and facilities in Missouri are located in Vichy and Springfield. Brewer also operates facilities in France, Germany, United Kingdom, China, Japan, Korea and Taiwan. Ashcroft met with Dr. Terry Brewer, founder and president of Brewer Science, his leadership team and toured the Vichy facility. 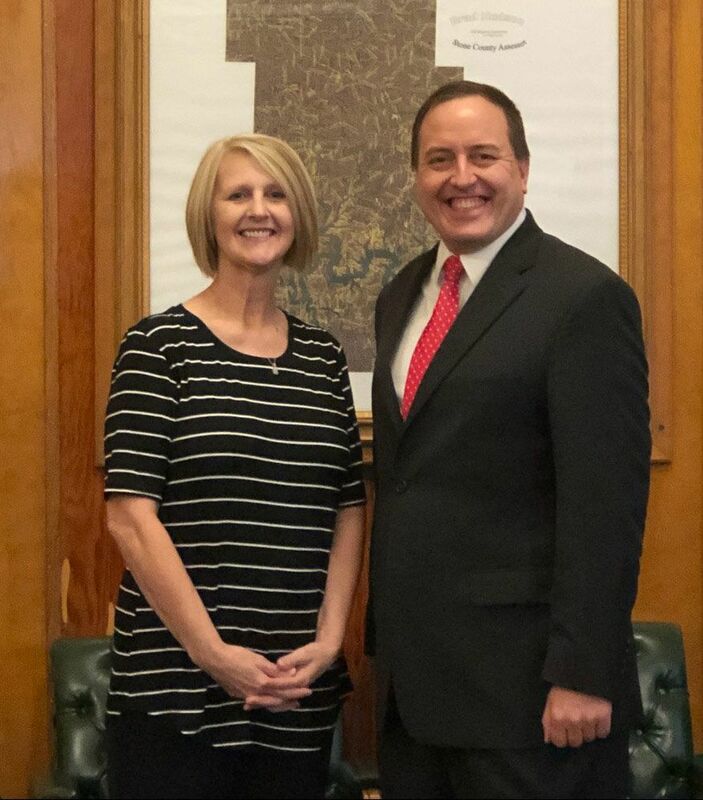 From Vichy, Ashcroft visited county clerks in Osage, Phelps, Pulaski and Maries counties – concluding the second straight year that he has personally visited every county and succeeded in visiting each of Missouri’s 116 county clerks and election authorities in 2018. In addition, he has had discussions with election officials at conferences and events throughout 2018, including the National Election Security Summit he hosted in St. Louis in September.